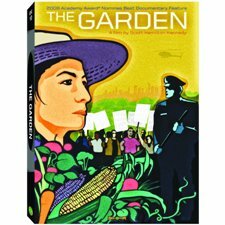 The Garden is a documentary that follows a poor Hispanic community in South Central Los Angeles. After the 1992 race riots, the city wanted to mend its relationship with its citizens, so it took over a 14 acre blighted property using eminent domain and donated it to said community. That land’s transformation in the decade that followed could only be described as miraculous. This community not only managed to grow amazing fruits and vegetables in this dilapidated space (making it the biggest urban garden in the country), but in the process the garden uplifted the community. Fast forward to 2003 in which the original owner of the property sues the city, stating that he is the rightful owner of the land. One year later the city sells the garden back to the owner in one of the shadiest backdoor deals ever, and it’s at this point that the film really takes off. A vicious legal battle ensues over who owns this land, with lots of political posturing along the way. It gets to the point where celebrities, such as Danny Glover and Daryl Hannah, join the fight to save the garden. While I won’t ruin the ending, I can say that it will make you emotional. The film left me with a sense of public duty to take action, to help to improve the situation, which I think is a sign of a good documentary. It’s unfortunate and ironic that the one thing this garden was supposed to avoid—race riots—is the thing it ultimately caused. The Garden is unequivocally one of the best documentaries I’ve ever seen (Waiting for Superman is slightly better). You can have your opinion on the ending, specifically the morality/legality of the situation, but what you can’t argue with is the people in this film. This is a must watch for everyone.